Tai Ming Cheung is the director of IGCC and the leader of IGCC’s Minerva project “The Evolving Relationship Between Technology and National Security in China: Innovation, Defense Transformation, and China’s Place in the Global Technology Order.” He is a long-time analyst of Chinese and East Asian defense and national security affairs. 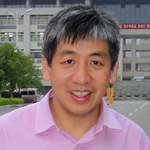 Dr. Cheung was based in Asia from the mid-1980s to 2002 covering political, economic, and strategic developments in greater China. He was also a journalist and political and business risk consultant in northeast Asia. His latest book, Fortifying China: The Struggle to Build a Modern Defense Economy, was published by Cornell University Press in 2009. He is an associate professor in residence at the School of International Relations and Pacific Studies (IR/PS) at UC San Diego, where he teaches courses on Asian security and Chinese security and technology. Dr. Cheung received his Ph.D. from the War Studies Department at King`s College, London University in 2006.